A career in management is a career in leadership. Interested in a career directing and motivating others? Our faculty of experienced managers brings you real-world knowledge at a campus in the heart of Chicago, an international business city. 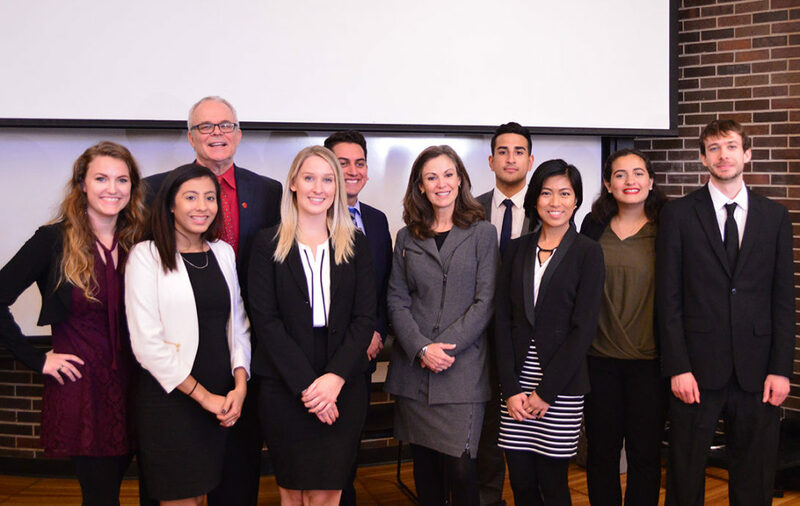 Management students enjoy special access to executives from across the Chicago business community, as well as practical learning opportunities grounded in critical and analytical approaches to organizational dynamics and human resources. 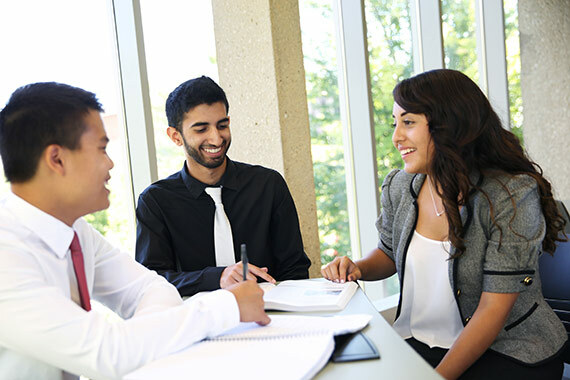 The Bachelor of Science in Management from UIC Business will equip you with the necessary skills to successfully lead and manage people and organizations. With a varied curriculum encompassing human resource management, strategic management, leadership, managerial skills and managerial logistics, you’ll gain the skills to excel in and lead teams, negotiate conflict and develop strategy to help a business succeed. Management students can opt for a concentration in human resource management, leadership and managerial skills, strategic management or managerial logistics. For a full list of degree requirements, visit the UIC Catalog. For a full list of courses offered, visit the Course Catalog. Develop the knowledge and skills to operate effectively as an internal or external management consultant by working directly with a real organization. Learn how to manage effectively by understanding and acknowledging the diversity that makes up today’s global workforce. Develop a better understanding of historical, psychological, sociological, legal and managerial viewpoints. Examine the activities involved in attracting, retaining and motivating employees. Topics include planning, selection, compensation, performance appraisal, succession and legal issues. Suggested UIC Business minors to add an edge to your degree. The hottest new area of business with a focus on the use of data-driven approaches to decision making and management. For over 25 years, the Executives in the Classroom series has brought the C-suite into the classroom, putting students directly in contact with executive leadership. Recent speakers include Michael Amiridis, UIC Chancellor; Selim Bassoul, CEO of Middleby; Jill Smart, retired VP of Human Resources for Accenture; Michael Fung, retired CFO of Walmart USA; and Sam Zell, Chairman of Equity Group Investments. On October 17, 2017, Mary Dillon visited the classroom. Dillon is the CEO of Ulta Beauty and a UIC Business alumnae. The following firms are top employers of UIC Business students graduating with a Bachelor of Science in management. For more career resources, visit the UIC Business Career Center site.